The StarTimes ON mobile app now has a new data bundle for mobile internet subscribers, following the collaboration between the pay TV company and telecommunications company MTN. With various new features on the mobile app, MTN subscribers now have access to unlimited entertainment and video-on-demand services at reduced costs, according to StarTimes. Tony Tuo, director of OTT at StarTimes Nigeria, said: “All MTN subscribers would also enjoy five premium channels that offer news, music, religion, movies and other entertainment content for free on StarTimes ON, a service that users of other networks have to pay to access. “StarTimes ON currently boasts of 3.5 million users in Nigeria and over 12 million across Africa. This makes its partnership with MTN the latest in an industry where it has become a common trend for telecoms and video operators to partner towards an effective delivery in a market where VoD and live streaming is on the rise,” he added. 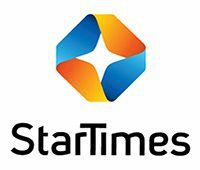 StarTimes ON currently offers more than 70 channels of which over 40 of them are free to users. Of these, more than 40 are StarTimes-owned channels showing programmes ranging from sports to news, movies, entertainment, music and other content.